Manfred Kuttner | Was sollten Sie zuerst sehen? With „Was sollten Sie zuerst sehen?“ [What Are You Supposed to See First?] 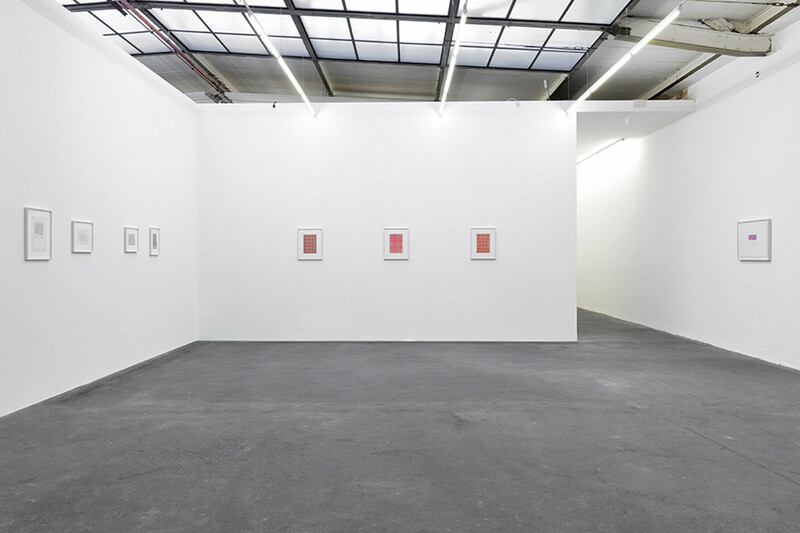 KÖNIG GALERIE presents for the first time an exhibition devoted exclusively to the artist’s works on paper, thus attempting to reveal the forerunners and origins of the neon-coloured painting characteristic of Kuttner. The exhibition’s title “Was sollten Sie zuerst sehen?” can be found, barely legible, in the early work “A-Z lala”, the background of which is a page from a guidebook to the USA which Kuttner has covered with musical notations. Produced in 1962, the work underscores Kuttner’s interest in music, tonality, rhythm, harmonies and dissonances, an interest that can be found also in his later paintings. Taken apart from the specific context of this work, the question ‘What should we see first?’ has reference to Kuttner’s overall oeuvre. 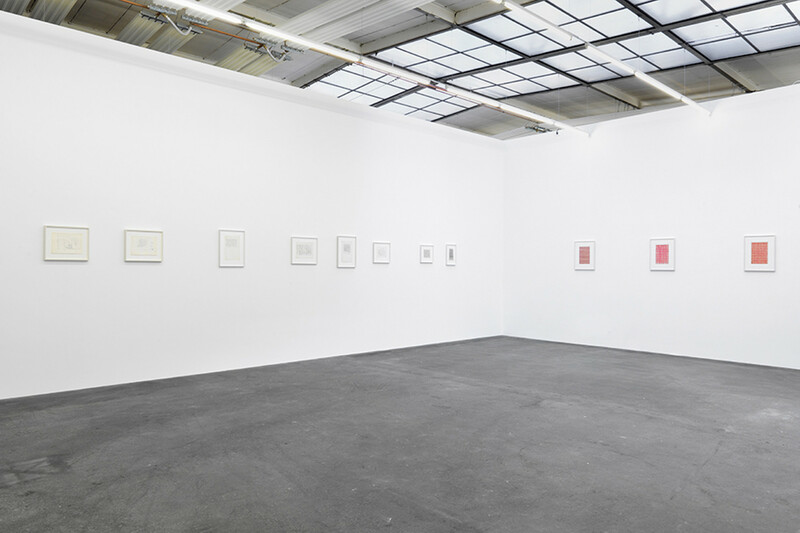 It implies a hierarchy, the idea that certain things have to be seen before others – here, the drawings before the fluorescent canvas works produced from 1962 on, which were most recently on display in 2013 at the heart of the broad-based retrospective in the Villa Merkel, Esslingen and the Langen Foundation, Neuss. The lines of Kuttner’s very early drawings such as “Dresden” (1959) or “Liegende” [Reclining Female Form] (1960) from his Dresden Academy years adumbrate landscape and body alike, revealing at the same time his interest in an untrammeled dynamism that in later works takes on a life of its own. The artist’s drawings, however, are less a prior stage to, or preparation for, the paintings to come but have rather a status and value of their own. The staccato of the pencil, the immediate juxtaposing of nervous pencil lines to form energy-laden structures or the gestural swirling turbulences on some sheets – these are anticipations of the subsequent so-termed ‘automobility’ in Kuttner’s ‘kinetic paintings’ done with luminous paints. The methodical construction of a rigorously designed but playfully executed grid pattern can be found likewise in Kuttner’s drawings. These works were created at almost exactly the same time as Kuttner made his discovery of glowing, fluorescent colours, with which he transferred the motif to large-scale canvases where it became a flickering, shimmering structure. In this context, Kuttner makes a radical change of direction, henceforth continuing in colour those features that had long marked his works on paper. In addition, the exhibition displays for the first time in full a series of photographic works. 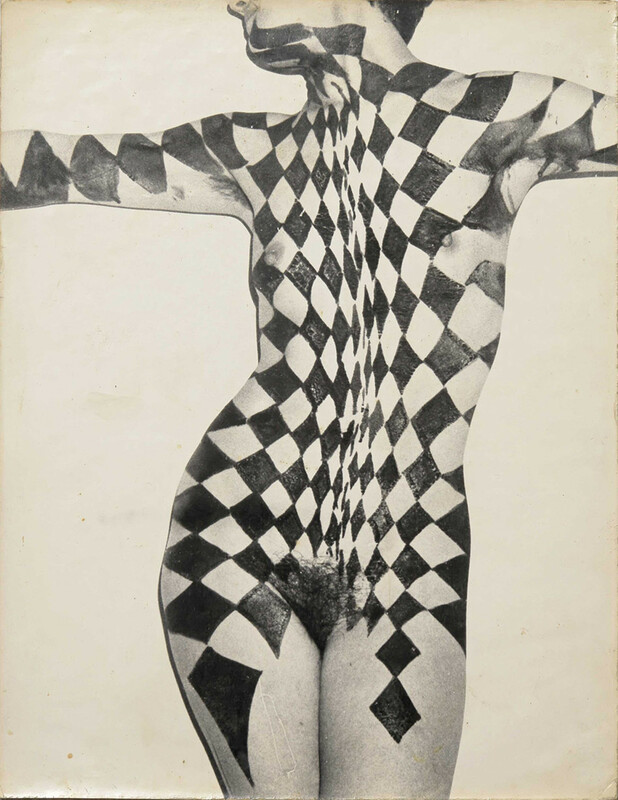 Movement and structure are here rendered by different means but with equal radicality, Kuttner painting a lozenge pattern in black on a naked female body and then photographing it in a variety of poses: overlapping forms, distortions and the illusion of spatial depth are now no longer the result of painterly illusion and an optical construct but are in actual fact the result of the movements of a human body. 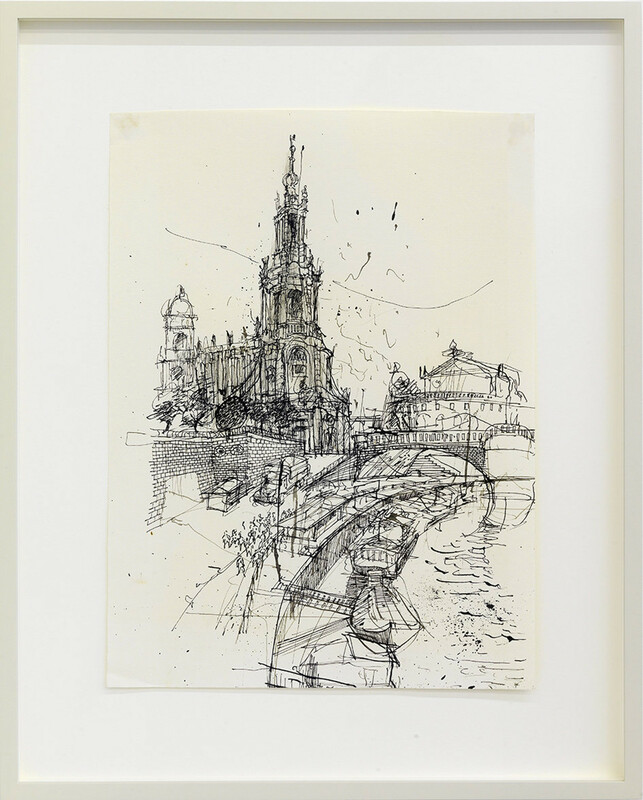 Manfred Kuttner (1937, Greiz/Thüringen – 2007, Erkrath bei Düsseldorf) first studied at the Kunstakademie in Dresden, then from 1961 at the Düsseldorfer Kunstakademie as a student of Karl Otto Goetz alongside Gerhard Richter, Sigmar Polke and Konrad Lueg. In 1963 the four artists organized the first exhibition of German Pop Art. 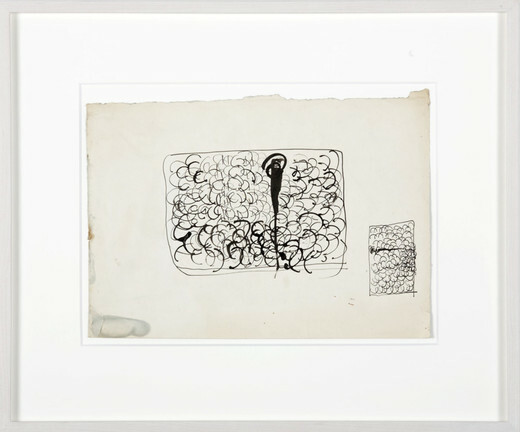 From 1961 to 1964 Manfred Kuttner accomplished an oeuvre with a form language of his own in his paintings, drawings and sculptures. Kuttner suspended his career as an artist in 1965. Together with Thomas Scheibitz and Anselm Reyle, Kuttner was represented in “The Artist’s Dining Room” at Tate Modern, London (2007), followed by a solo exhibition at Westlondonprojects (2008) and at Johann König, Berlin (2010). 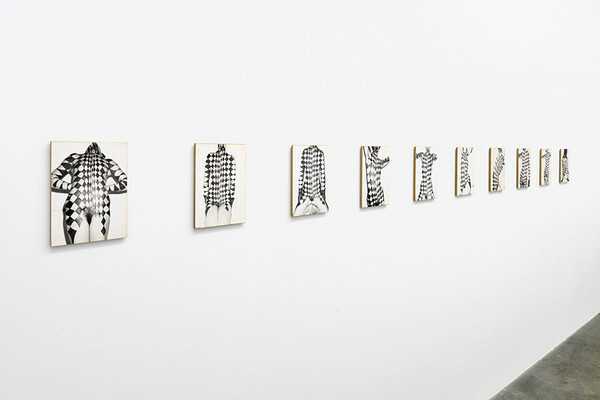 In 2013 his first retrospective was presented at Villa Merkel, Esslingen and Langen Foundation, Neuss, Germany. Kuttner’s work was also shown at various group exhibitions e.g. at the Museum für Konkrete Kunst, Ingolstadt, Germany (2013) or at “Living with Pop” at the Kunsthalle Düsseldorf (2013) which will travel to the Artist Space, New York in 2014.